Mr. Ginsberg has been selected as a Southern California Super Lawyer for years 2004-2019, and a Top 50 Super Lawyer for 2011 and 2014, through peer nomination and an independent research and review process. Further, Mr. Ginsberg was selected by Best Lawyers in America for years 2008 through 2019. Mr. Ginsberg is active in local , state, national and international bar family law activities, including as a member of the Executive Committee of the State Bar Family Law Section where he chaired the Continuing Legal Education Committee. 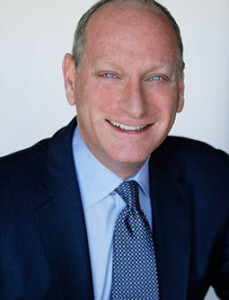 He is a past President of the Harriett Buhai Center for Family Law, a non-profit provider of family law legal services to low income individuals. He was Co-Chair of the Los Angeles County Bar Association/USC Family Law-Legal Ethics Institute Steering Committee and is a frequent panelist and lecturer for many state, national and international legal organizations. Mr. Ginsberg is also the author of several articles and a contributing editor to several Family Law publications.